It is a flour of flour of last generation, produced with technology of tip promoting a smooth grain, rounded and compact. It is designed to ensure a longer shelf life, with a crisp, pleasant and healthy appearance. It absorbs up to 70% less oil than common thread flour, because it does not have micro caves (microsphere technology). It is healthier for the end consumer. Milanese: Put Fioccopan® on a plate. 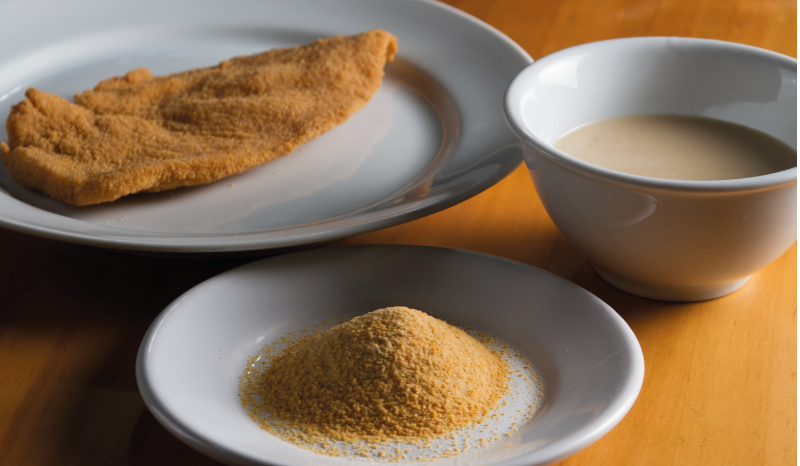 Immerse the food in the binder (egg or Fioccogel® diluted in water) and cover with Fioccopan®. Press lightly for best grip. Fry in very hot oil (190 ° C).